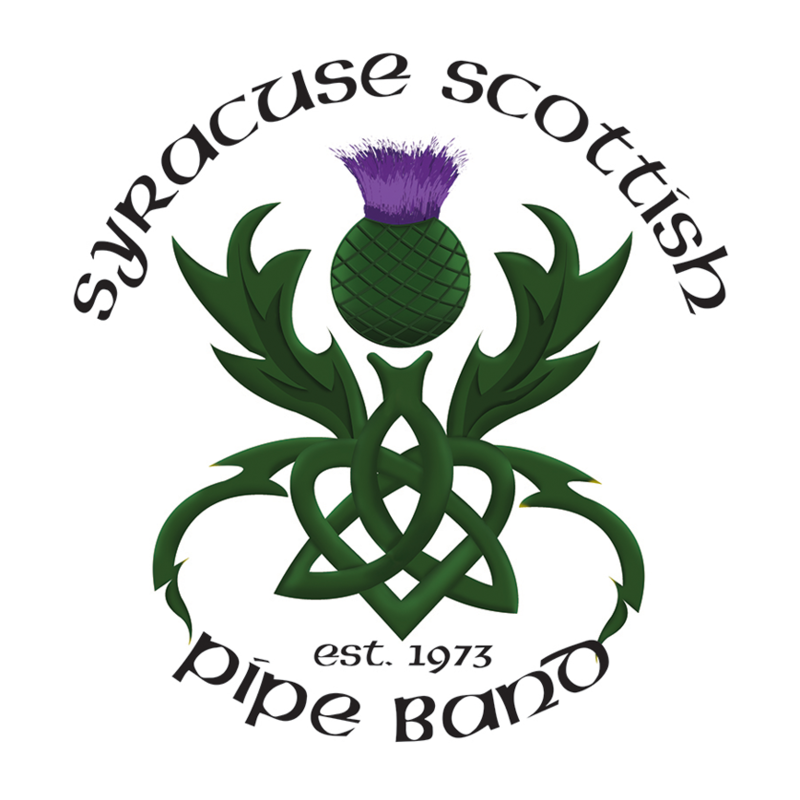 The SYRACUSE SCOTTISH PIPE BAND is recognized for performance excellence in Central New York. We have constantly worked to produce the finest in musical presentations since the band’s founding in 1973. We appear in many local parades, charity functions, private parties, and in many Highland Games, where we compete against other pipe bands. Those contests have been in Ontario, Pennsylvania and in Central New York. The band competed at the World Championships in Glasgow, Scotland in 1996 and 1999 where there were over 200 pipe bands from around the world. 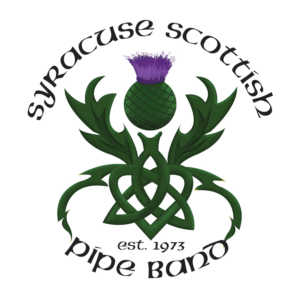 The band provides instruction in both piping and drumming by experienced and dedicated members who have proven their expertise in competitions. We practice year-round. During the winter, at the Liverpool First United Methodist Church from 7:30-9:30 pm and in the summer in the parking lot of Ft. St. Marie (Ska nonh) on the Onondaga lake Parkway from 7-9 pm. Visitors and spectators are welcome.